The ZENCODE is envisaged to be a collaborative initiative with contributions from across the globe in terms of data points and expert analysis support. As also briefly mentioned in the overview paper, we would embrace the concepts of open-source and collaboration between the groups. 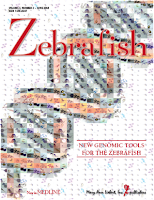 A number of complementary resources have been developed as part of this initiative apart from resources on zebrafish genomics developed as part of previous projects.